It has been quite a while since your last post. Please do tell if you are still posting content elsewhere. Loved your line about Xi not needing Mao's play book, he has his own. You're quite correct. Xi is brilliant. May not like his "appointment for Life", but expect he has very good rationale. Perhaps he does have a more global agenda, one which involved expanding trade and influence in other parts of the world, and that might require in his opinion, his steady hand for a couple of decades. Couldn't argue with that but again, not keen on his decision. Not all agreed with the huge Communist Party conventions but it was in my opinion Chinese democracy. Democracy doesn't have to take the form of western democracy, different countries, different methods. 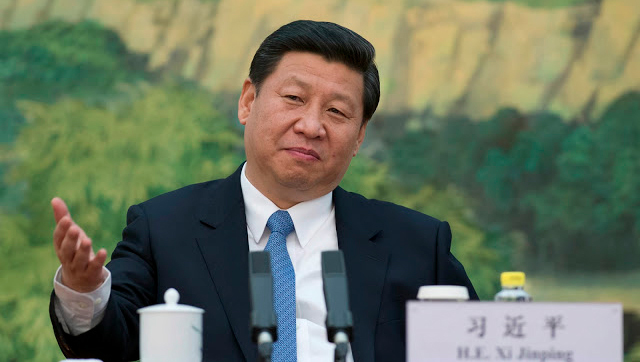 When outsiders look at China and Xi, they do it via a lens developed in other countries. countries which are much smaller. China has the largest population of any country in the world. Keeping it on course may require other forms of government, we in the west don't agree with. There is much in terms of H.R. I don't like in China. On the other hand, no country is without blemish as they say. Some may argue China puts people in camps, well have a look at the U.S.A. and how they deal with undocumented refugees and their 2 million in jails. I can remember when the first trade mission from China. It came to the Vancouver, B.C. P.N.E. Pacific national exhibition. Our Mother purchased jade braclets for us, which we still have. that was some time in the 1960s. I remember our Mother taking us to the exhibit. it was a huge change for China, they were going out into the world to change their economy. We knew this was something big for every one. Look at where the country is today. its amazing. without the style of government China has had, could this have been accomplished. May not have liked it all, but progress has been made, life spans extended, better education, housing, etc. All I know is the President of China and the Chancellor of German are both PhDs and both run pretty amazing countries. I'd prefer Ms. Merkel, but if she were running China what would she do different.